After a long day of studying and writing paper the best way to unwind is by heading on over to one of the many college bars in NY. Find a bar closest to your school and enjoy some drinks with you buddies as you relax and cool off after a hard working day. 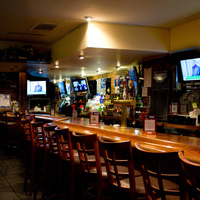 Conveniently located near NYU, Josie Woods Pub is must-go to New York college bar. There is something for everyone to do at this bar with flat screen TVs playing different sports games, pool tables, dartboards, and a jukebox. This is the perfect bar for someone looking for a fun, laid back environment. Josie Woods Pub is great for people of all ages. It is more than a college hangout; it is a bar that makes everyone feel as though they belong. Eat, drink, and relax. Josie Woods Pub guarantees great service and low prices. This bar is a must-visit for not only college students but locals and tourists as well. NY college bar has entertainment for all! Pool, darts, a jukebox, and free internet are only some of the entertainment that you will find at the Fat Black Pussycat. The Fat Black Pussycat is a unique college bar/club in New York. The bar is split up into three rooms. The front room is a more relaxing bar area which is decorated to reveal the bars historic roots. When you step into the back room you will find yourself in a lounge covered in Oriental rugs and Moroccan lanterns. Music from the greatest artists all over the world fill the room as you sit back on soft couches and plush pillows. Downstairs is a club atmosphere with live music and dancing. This bar has something for everyone which is why it is one of New York's best college bars. 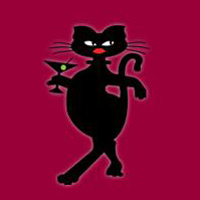 Whether you want to listen to music from around the world, spend the night dancing, or play a game of pool the Fat Black Pussycat has what you are looking for. Looking for a place to go to after a long day of classes? Check out The Dead Poet, one of New York's best college bars. The bar was designed to celebrate famous writers and poets. The Dead Poet has an upbeat environment perfect for unwinding after a long day of school. Come and order drinks off of the extensive menu or pick songs to play off of the jukebox. A full library of classical work of literature is available. If you are looking for a good book to read feel free to sign one out and bring it back when you are finished. At The Dead Poet everyone feels welcome. The Dead Poet can be rented out for private parties. 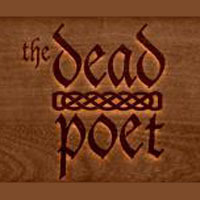 If you are looking for a fun way to end your school day make sure to visit The Dead Poet. Down the Hatch is one of NY's best college bars. It is a legendary underground bar where college students and locals go to party. Watch your favorite sports team play on one of 9 flat screen TVs, play a game of foosball or beer pong, and take advantage of the drink specials. Between the fun, energetic environment and cheap drinks you will want to keep coming back. A full food menu is available. 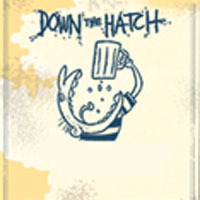 If you're looking for a fun place to spend your night, Down the Hatch is where you need to be. After a long day at school this is the bar that will help you unwind and have fun. This New York college bar is a must! Two floors of food, drinks, sports, and college students make up this New York college bar. 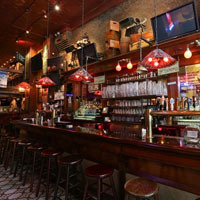 Off the Wagon is located close to NYU and other colleges/universities bringing in many college students as well as locals and tourists. 17 flat panel TVs and one 100" screen cover the walls with different sports games playing. Choose a drink from an extensive menu with 14 draft beers, 15 canned and bottled beers, and a full selection of spirits. The kitchen is open until 4 a.m. ready to serve every guest. Between the fast service, low drink prices, and awesome environment Off the Wagon is the must go to hot spot for college students and everyone else.